With the newest Detox Box* launching today, I thought it would be the best time to share my personal experience with this subscription box. 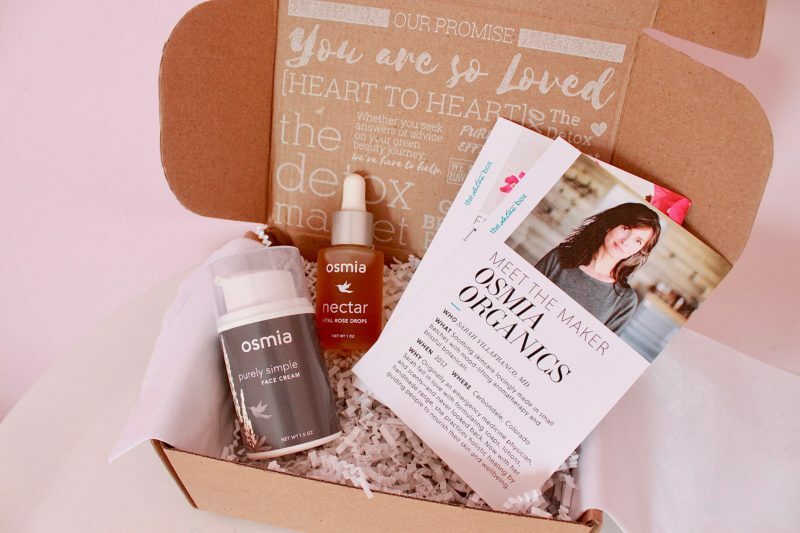 It often sells out by the time that I upload a story about it on Instagram, (it certainly happened with the Hynt Beauty box, and if I am not mistaking, with the One Love Organics box as well). This month I wanted to try to have this post up before it’s too late. I have discovered a few of my current favorite products through this box, and I am sure that so many of you would enjoy this monthly box as much as I do. I must say that I am not a huge subscription box-type of person. I own so many beauty products that I don’t feel the need to regularly receive more–unless there are a few, exquisitely selected products that I already intended to try at some point. This is exactly why I have enjoyed receiving the Detox Box–many of the products that came in this box were already on my list to try–hence it proved to be worth the wait. 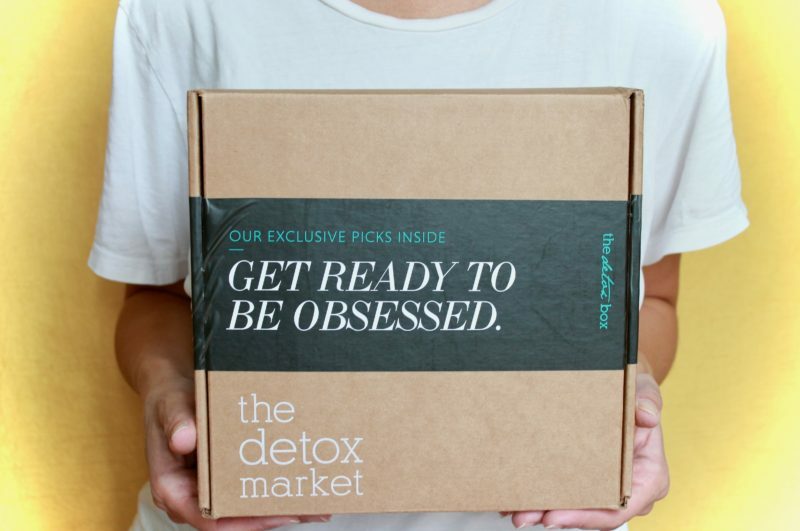 Instead of including several sample size products, like many other subscription boxes–the Detox Box contains only very few products, typically 1 to 4, in their full-size packaging. While I love sampling beauty products that I can only find online, and I often take advantage of The Detox Market Sampling Program, I use samples mainly to test scent, texture, and makeup colors. However, I believe that through small samples you can only find out if a product agrees with your skin, but you cannot experience skincare benefits, or learn how to get the best use out of a foundation. That is why I tend to prefer boxes that come with full-size or “deluxe”/travel sized products. Value is definitely one of the strongest points of this box because, for a sub-$50 price point (edit: increasing to $55 from November 8th, 2018 for new subscribers), the box always contains at least $90 worth of product, with a recent box reaching up to $160 value. That means that when a brand you love comes in this box, you definitely feel like you’re winning! You may receive a product you already love and use, for a significantly discounted price, and you may receive more product with it as well. There is also an option to subscribe in advance for multiple boxes, which brings the price of each box down even further to less than $45 for a three-month subscription and less than $40 for a six-month subscription. Considering how expensive clean beauty products typically are, this really makes this box a sweeter deal. The Detox Box is, without a doubt, curated to please those of us who are a bit more difficult to impress. In fact, I have rarely received a Detox Box that did not contain products that were already on my wishlist or that I had already tried and enjoyed. If you are already an avid clean beauty consumer, I suggest that you take a look at the past boxes in the middle of this page to see what has been featured so far so you can get an idea of what you could have received vs. how you would have felt about receiving it. As I mentioned, I have discovered a few products that have become favorites of mine, such as the Hynt Beauty Sun Prep and I have appreciated every single one of the boxes so far. I hope I covered everything that there is to know about The Detox Box. The new box was just revealed (hint above) and you can check it out here. If you have any questions, please leave a comment below.